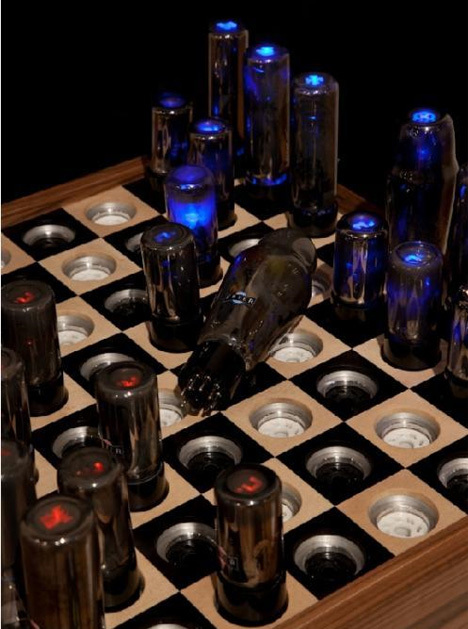 As if playing chess wasn’t geeky enough already, evil genius Paul Fryer has gone and paired it up with vacuum tubes that actually light up as you move them around the board. 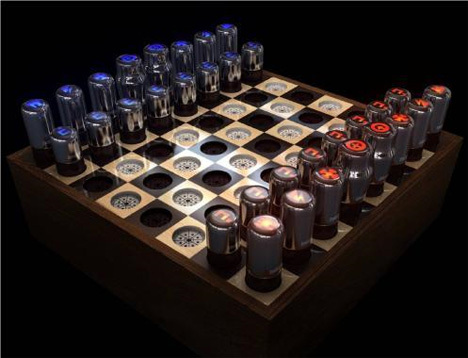 This gorgeous example of geekery is appropriately titled Chess Set for Tesla. The top of each tube is emblazoned with a small character that tells which chess piece it represents. As you move each piece to a new spot on the board, you plug it into the electrified slot on the bottom of the square, lighting it up. 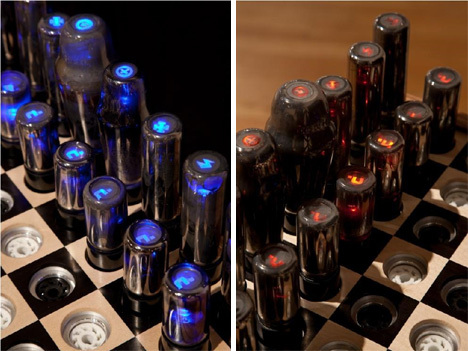 There are only seven of these bad boys in existence, and we expect you’d have to be super careful while playing to avoid any heartbreaking, unfixable accidents – but this is easily one of the coolest chess sets ever created. See more in Retrofuturistic or under Vintage & Retro. November, 2010.